Mustard Products produced in a facility that also processes milk, egg, wheat, soy, peanuts, and tree nuts (pecans, almonds, coconut, cashews, walnuts), fish, and shellfish. 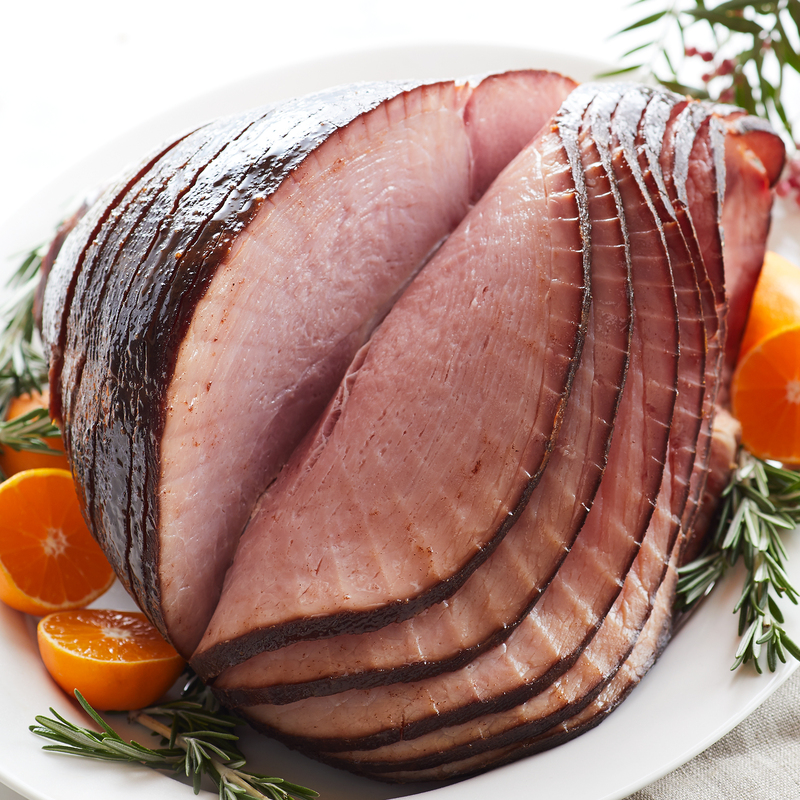 Ham is gluten-free. This gourmet collection will make any holiday meal one to savor. 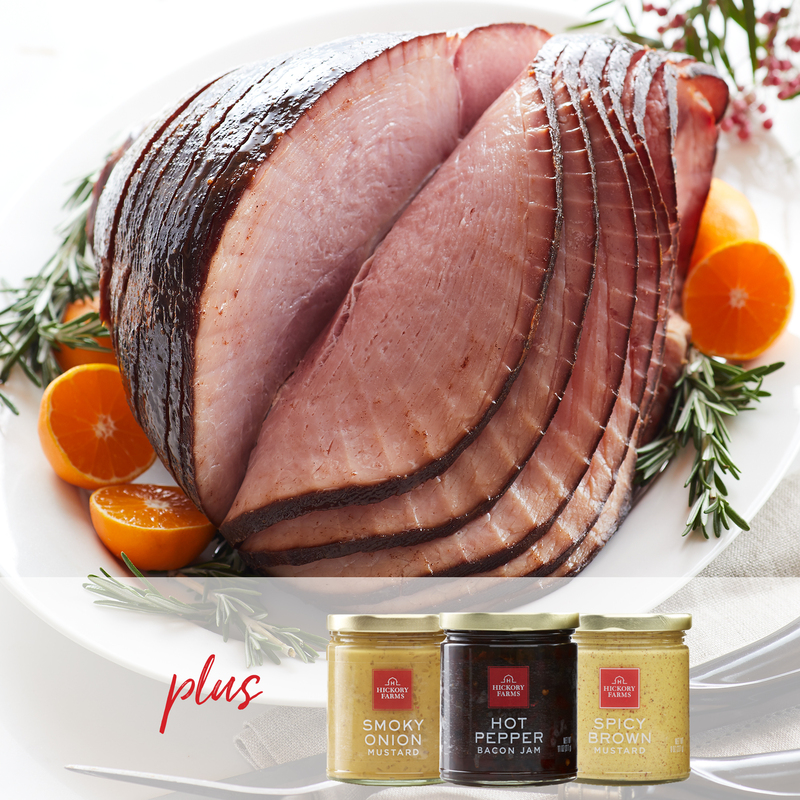 Our delicious HoneyGold Spiral Sliced Ham, which has an award-winning sweet and tender taste, is slow-cured with real honey. To make it even more delicious, we've paired it with three of our favorite condiments. 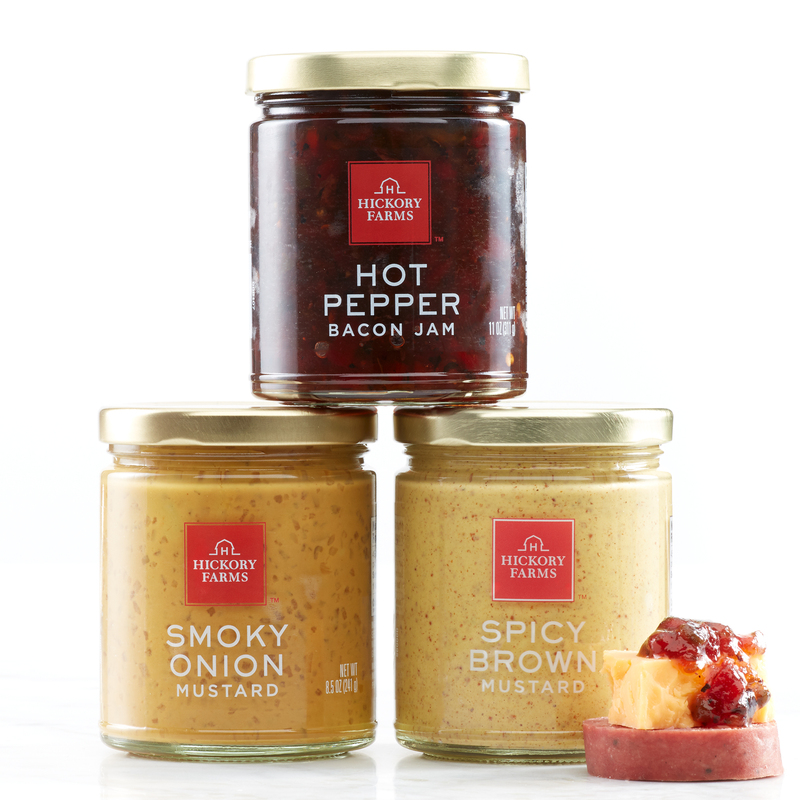 Try the ham with Spicy Brown Mustard, Hot Pepper Bacon Jam, or Smoky Onion Mustard to find your new favorite flavor experience.